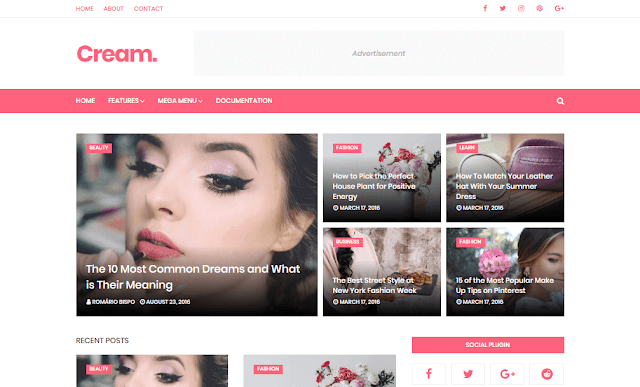 Cream Fashion Blogger Magazine Template is a Clean Responsive Blogger Template for fashion magazines and blogs. It is easy to customize and also designed for Personal Blog like Travel Blog, Fashion Magazine Blog, Fashion Blog, Travel Blog, Food Recipe Blog, Life Style Blog, Adventure Blog, Tech Blog, and any other awesome blog Website. This Fashion Blogger Blog Template comes with wonderful ready-made Design. Anyone can easily ready their Blog Website with Cream easily. Creative and Clean Design gives you real feel of blog site.! Following are some of the key features of Roslyn blogger template.